Abonnieren Sie alle Meldungen von Maurice Lacroix S.A. Dynamic Swiss watch brand, Maurice Lacroix, is pleased to announce a three-year partnership agreement with FC Barcelona - considered as one of the world's most prestigious football clubs with a global fan base of over 300 million admirers and 100 million social media followers. 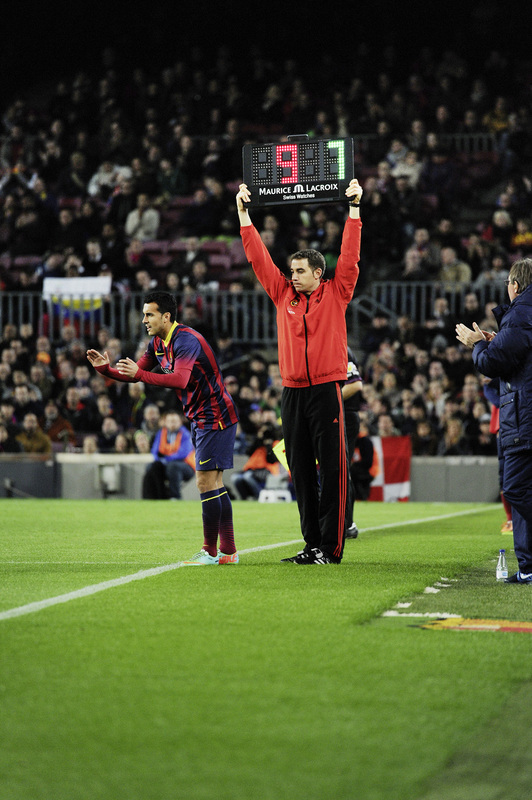 Becoming the "FC Barcelona Official Watch Partner" represents a landmark in the history of Maurice Lacroix. 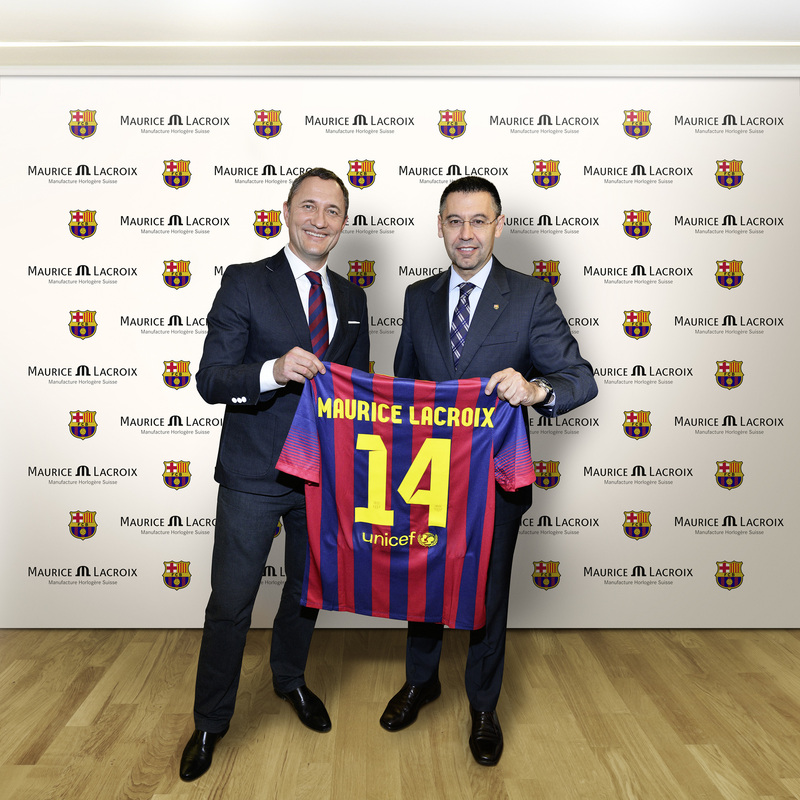 Through this innovative partnership, Maurice Lacroix and FC Barcelona will join in facilitating access to the world of high-quality Swiss luxury for football fans and watch aficionados alike. The watchmaker brings unparalleled savoir-faire in luxury goods marketing to the playing field, and in turn, will benefit from increased brand awareness with 300 million fans and the added emotion of sharing in FC Barcelona's cult status. Through this outstanding partnership, FC Barcelona and Maurice Lacroix aim to remain close to their fans, speak the same language, and offer every one of them a high-quality Swiss luxury product. An affordable "fan's" watch will provide an entry-level opportunity for Swiss timepiece ownership. For lovers of mechanical timepieces or for those wishing to make the big jump, a stunning "player's" watch and a sophisticated "executive" model will also be sold in all FC Barcelona boutiques and in the extensive worldwide network of official Maurice Lacroix retailers. Within Europe's biggest stadium, the partnership will be communicated through an array of impressive assets such as the 4th referee LCD screen, giant Maurice Lacroix clocks and an exclusive presence in all VIP areas of Camp Nou. In reaching this agreement, Maurice Lacroix and FC Barcelona, two organizations known for their progressive thinking, have conceived much more than a partnership. Their concerted entrepreneurial spirit and intuitive commercial thinking ability is the start of a dynamic new chapter in both parties' history. FC Barcelona is proud of its Swiss origins (the club was founded by Hans Gamper from Winterthur), just as it is proud of being the emblem of the local Catalan community. But FC Barcelona is much "more than a club", as expressed in its motto "més que un club". FC Barcelona is the No. 1 sports club in the world in many respects. It has won all football's most prestigious trophies multiple times. It attracts only the best players in the world. It displays an amazing and unique one-touch style of football. It invests in and nurtures the most promising talents, and supports numerous charitable organizations. Built on the values of ambition, quality, creativity and style, FC Barcelona is a legend, an iconic club with a winning formula that has attracted a global fan base of over 300 million admirers. Since the launch of its first watch in 1975, the stylish Swiss watches conceived by the creative and ambitious design team at Maurice Lacroix have gained international recognition. Maurice Lacroix timepieces offer eclectic and playful designs, patented technologies and new ultra-performing materials. All are imbued with the enduring values of quality, reliability and authenticity. Just like FC Barcelona, Maurice Lacroix is a symbol of success that is all about style, substance, and a relentless passion for progress. Riding this wave of shared values and ambitions, the Swiss watchmaker and the Catalan football club make a perfect team in jointly exploring innovative ways of reaching out to both football fans and watch lovers. Maurice Lacroix is based in Saignelégier, located in the Jura region, an area noted for its watchmaking prowess. In 2006, the Swiss watchmaking company designed and developed it first in-house movement and over successive years this has grown to 13 in-house Manufacture calibres. The company has won ten major awards for its watches over the years, with industry panels recognizing its ingenious creativity and craftsmanship. Maurice Lacroix produces 90,000 watches per year and has 3,000 points of sale. It continues to grow, based on a winning formula of quality, reliability and authenticity, expressed through playful and eclectic designs backed by patented technologies and high-performing materials. The company relentlessly seeks new and innovative ways of depicting time, whilst always respecting Swiss watchmaking craftsmanship. It is this "Passion for Progress" which is at the heart of the brand's culture. On July 1, 2011, DKSH, a Swiss company based in Zürich and a leading service-provider for market expansion in Asia, acquired a controlling stake in the Maurice Lacroix group. With 735 subsidiaries and 26'700 employees, DKSH is present in 35 countries and generated net sales of 9.6 billion Swiss francs in 2013. Weitere Meldungen: Maurice Lacroix S.A.